Considering Jumbo Loan Washington State? High end real estate in Seattle requires a bit more time when searching for the proper financing. Sure, most mortgage companies offer both conforming and jumbo loans, but there are companies that tend to specialize in jumbo financing. By doing this they have special relationships with jumbo investors and can offer more of boutique-style options in addition to the standard, jumbo fixed rate fare. Jumbo mortgages are those that are above the local conforming loan limit. In most of Washington the conforming loan limit is $484,350 yet in certain areas deemed “high cost” due to the higher median price of homes, the conforming limit can be as high as $726,525 (parts of California, Florida, etc) That vast bulk of conforming loans are those underwritten to Fannie Mae and Freddie Mac guidelines. When lenders approve a loan using these standards the loan is eligible for sale in the secondary markets, freeing up additional cash to make still more mortgages. Jumbo loans also have a secondary market though not as robust as the conforming marketplace. In some cases, jumbo lenders keep their loans in-house with no intention to sell. In all, jumbo loans account for around 20% of the overall number of mortgages approved each year. All this means is there are choices for jumbo products but not nearly as many conforming loan options. Mortgage companies that tend to specialize in the jumbo category built special relationships with jumbo investors and build their market and mortgage products around this strategy. Getting jumbo financing isn’t all that different from a conforming loan and all one might discover is the minimum down payments for a jumbo loan are greater and mortgage rates may be slightly higher although that has started to change in recent years. Up until around 2008, jumbo financing was across the board. Stated income, even 100% financing programs were introduced. No document loans could be found where nothing regarding the financial details of a borrower was verified. Yet after the mortgage collapse, jumbo lenders pulled way back and it wasn’t really until around 2012 when jumbo lenders got back in the mortgage game and rates began to more resemble conforming rates than those for a jumbo loan. Today, borrowers can expect to put at least 10% down payment for a jumbo loan with a full suite of mortgage rate product offerings. However, select lenders are now again offering up to 95% Jumbo mortgages in Seattle with fixed rates ranging from 15 to 30 years or adjustable rate hybrid offerings of 3/1, 5/1, 7/1 and 10/1 programs. Hybrids offer a slightly lower rate than a fixed rate product for an initial fixed period of time before turning into an adjustable rate that can change annually. Buyers can learn more about the 95 percent Jumbo financing options in the video below. Programs that require only a 5% down payment and utilizing a second lien for the remaining 15% percent, keeping the first mortgage at the 80% loan-to-value level and avoiding mortgage insurance. Your loan officer will be able to do the math for you to see if putting, 5%, 10% or 20% or more is better for your personal situation. 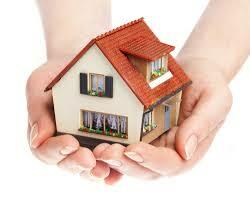 Mortgage companies that specialize in the jumbo product know which type of jumbo program best suits your needs. While most jumbo lenders approve an application in much the same fashion, sharing basic qualifying guidelines, there can be other “tweaks” to an approval process that one jumbo lender has that another does not. For example, one program might only require one year’s worth of federal income tax returns instead of two for the self-employed applicant. This can be advantageous to someone whose business had a downturn one year but recovered nicely in the next. Because most programs average year over year business income, one bad year could keep someone from getting approved. Other differences may be different credit scores and down payment requirements. Some programs allow for higher debt ratios than others. The point is this- while jumbo loans are all categorized by the size of the loan, there can be differences from one program to the next. Experienced jumbo lenders know just where to look when a special circumstance comes into play. Please note as of 2019 – 95% jumbo options are available up to $2,000,000 loan amounts.